Amberley first contacted me to see if I would write Bolton Through Time for them. Although I live just inside the Bolton boundary I’m not really a Boltonian, and soon Bolton Camera Club did an excellent job with that book. 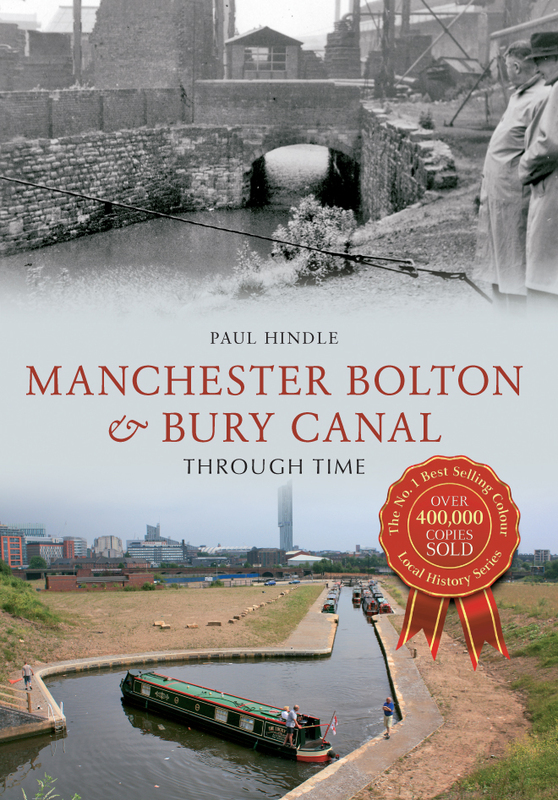 Instead, as Chairman of the Manchester Bolton & Bury Canal Society I suggested that I could write a Through Time book about the canal. 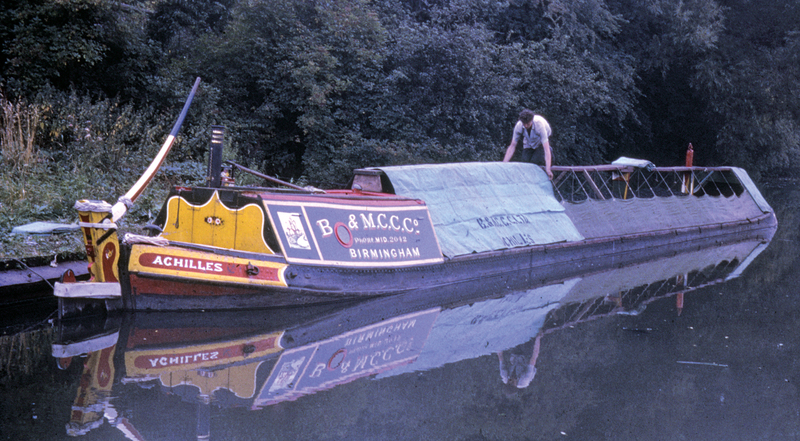 So in 2013 I set to work, using the Society’s own photographic archives for the ‘then’ photos, before going out to take the ‘now’ photos, largely done on foot, walking the whole canal towpath which runs from Salford (not Manchester!) to both Bolton and Bury. In the process I noticed that I was walking rather oddly, and eventually I was rushed to Salford hospital for a brain operation! Several of the ‘now’ photos have already become redundant, due to various redevelopment schemes. 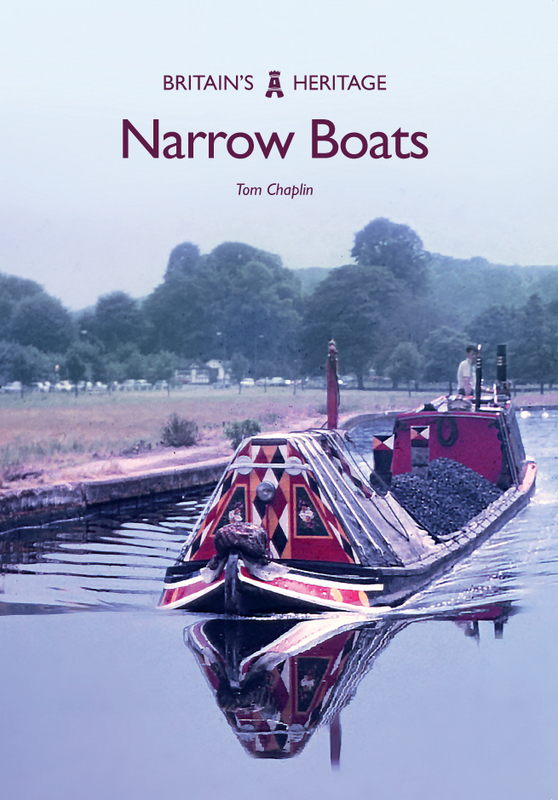 For example the entrance to the canal from the River Irwell (shown on pages 8 and 9) has been transformed. Princes Bridge has gone and been replaced by a new lower footbridge, and the walls and roof of the first part of the entrance tunnel have been removed. The Ordsall Chord now spans the river at this point, with its new railway lines linking Victoria and Piccadilly stations. On pages 13 and 14 there is a new housing development alongside the canal, rather than the ‘urban desert’ seen in the book. On page 19 the water tower has gone. Prestolee Locks (seen on pages 44-46) have been excavated to about half their depth, making them much more visible. 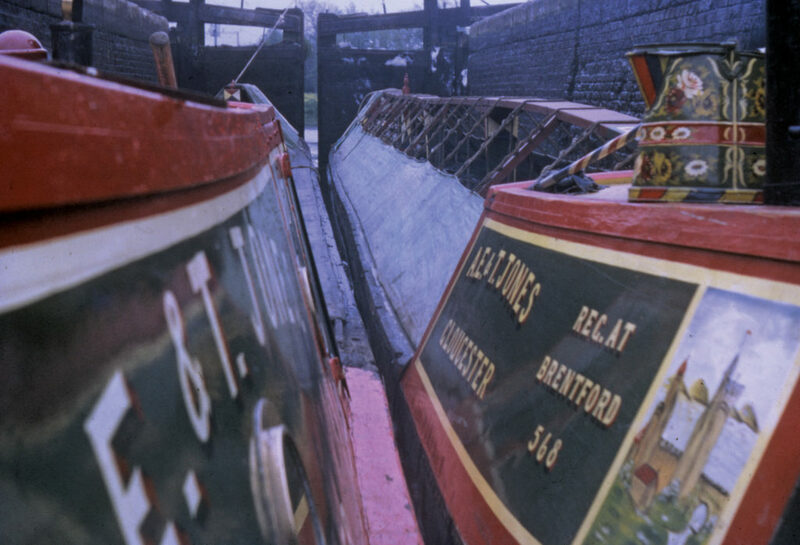 The Fire & Rescue training centre mentioned on page 75 has now been built, keeping the line of the canal clear. All that in just four years! A year later Amberley asked me to take on Salford Through Time. Although I had worked at Salford University for 30 years I didn’t really know much of Salford well, and, as it is a large city, the biggest problem was which parts to include. Eventually I came up with the idea of three linear routes through the parts of Salford I knew best. The first went from Exchange Station, along Chapel Street to the Crescent (passing the University), then on to Broad Street and Eccles Old Road. The second route was a tour around Broughton and Kersal. The third route gave me another chance to follow the Manchester Bolton & Bury Canal just as far as Agecroft, using mainly a different set of photos. This time I had to obtain most of the ‘then’ photos from the very helpful Salford Local History Library. Again already several of the ‘now’ photos are redundant, starting with the office block on the front cover (and page 17) which has already gone. Another request from Amberley came in 2017 and I suggested Salford Quays Through Time. The Quays is a development of the former Manchester Docks that were in fact in Salford. Once again I went back to the Salford Local History Library, and I hit the first problem, which was that many of the photos did not say which dock they were showing, and half were undated. 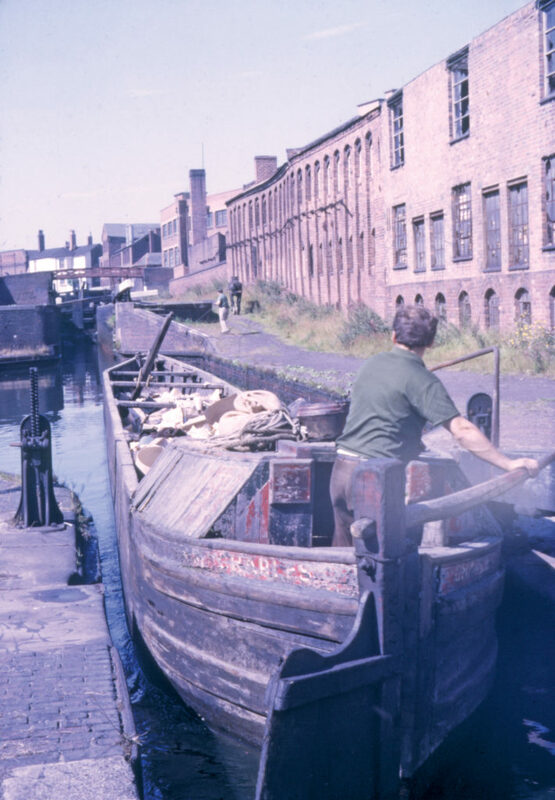 There are only so many photos you can show of a dock area, so I decided to widen the scope of the book to include the local areas of Ordsall and part of Weaste, which were developed alongside the docks. The changes throughout the area in recent years have been massive. In Ordsall the area was largely made up of terraced housing which has been largely replaced by modern housing. The road network has been drastically altered. 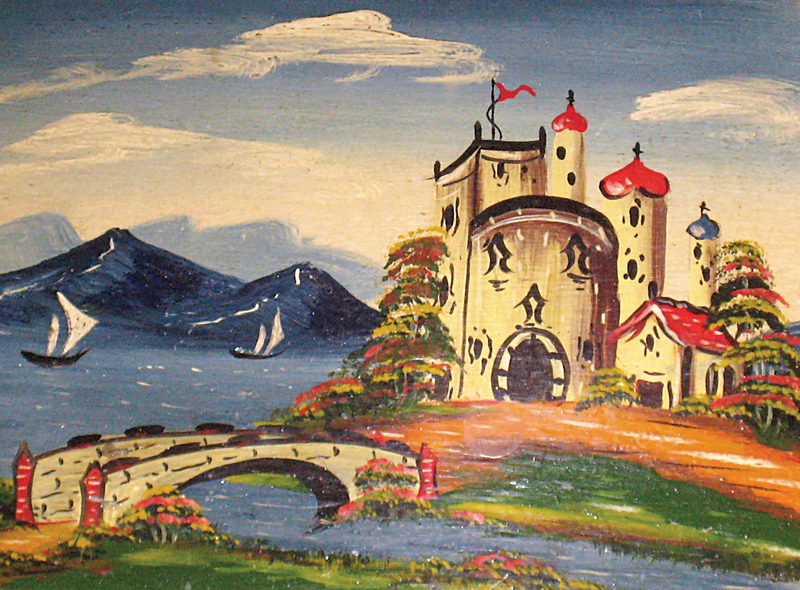 The only surviving features are the medieval Ordsall Hall, Ordsall Park, four churches and the main roads. 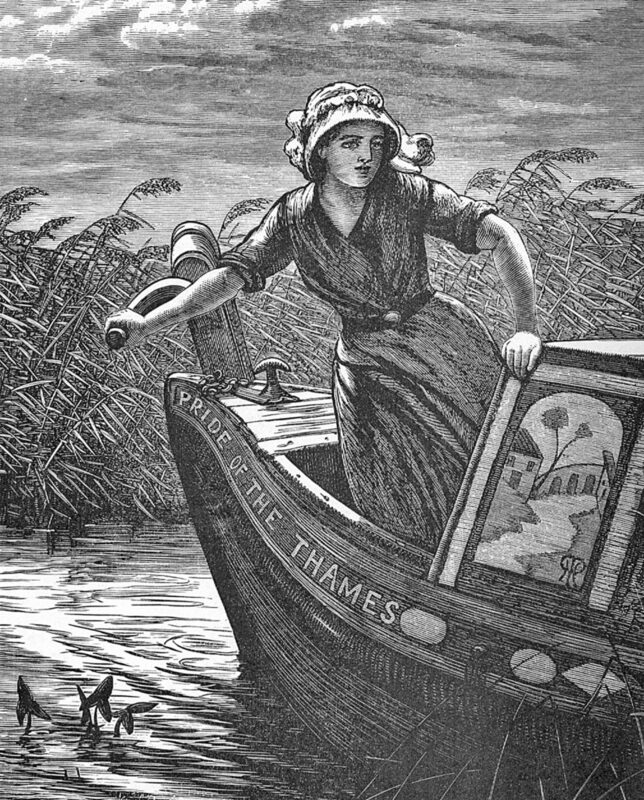 In the Quays only the outline of the four docks remains, and even that has been altered by closing off three of the four docks from the river, and creating new canals and basins. So in both Ordsall and the Quays getting matching ‘then’ and now’ photos was very difficult. I found Ordsall a fascinating area, notably the surviving Barracks area of terraced housing, including St Ignatius Church and the Salford Lads Club. A final section took me to the peaceful Weaste Cemetery where several famous folk are buried. 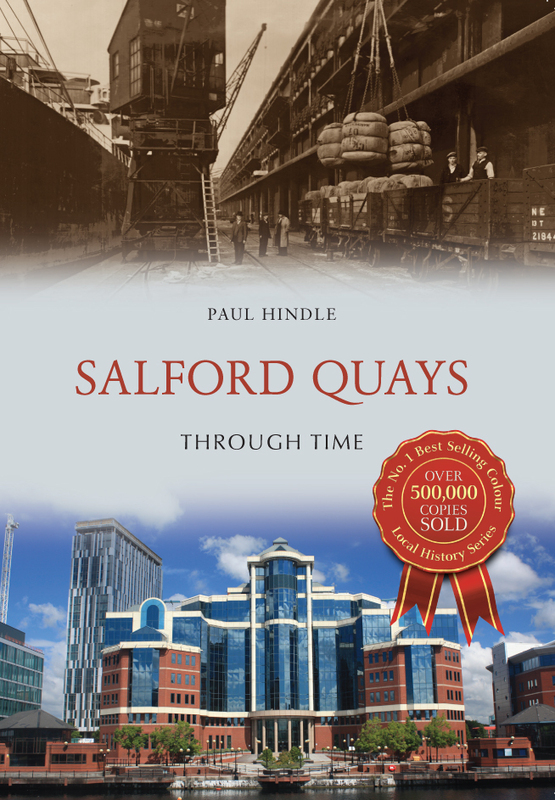 Paul Hindle's books Manchester Bolton & Bury Canal Through Time, Salford Through Time and Salford Quays Through Time are available for purchase now. 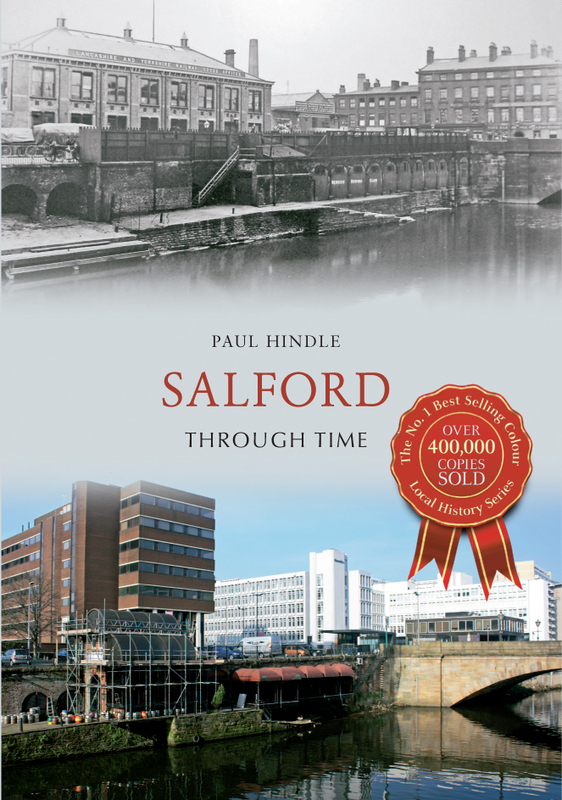 This entry was posted in Blog and tagged Greater Manchester, Salford Through Time, Salford Quays Through Time, Manchester Bolton & Bury Canal Through Time, Paul Hindle, Docks, Canals Docks and Routes in Salford, Canals, Through Time Series, Local History, Amberley Publishing on February 13, 2018 by Amberley Publishing.